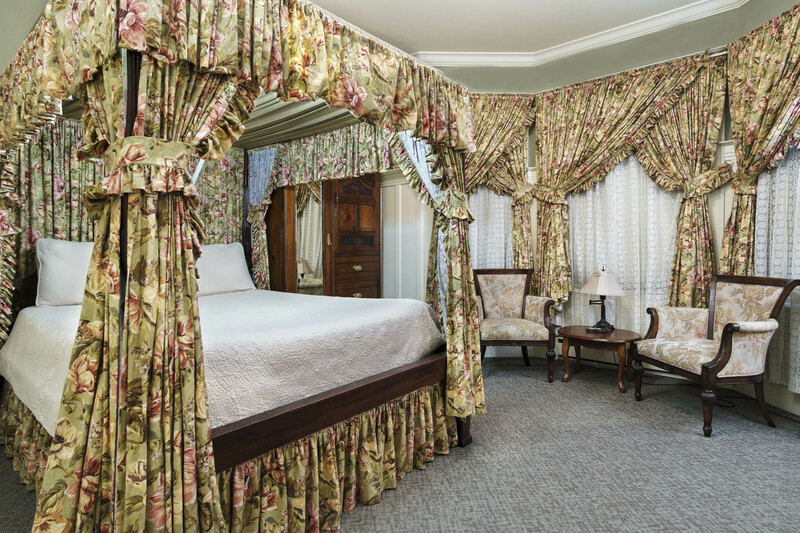 Step through the etched glass doors of the Nob Hill Inn and be transported back to the golden age of San Francisco. 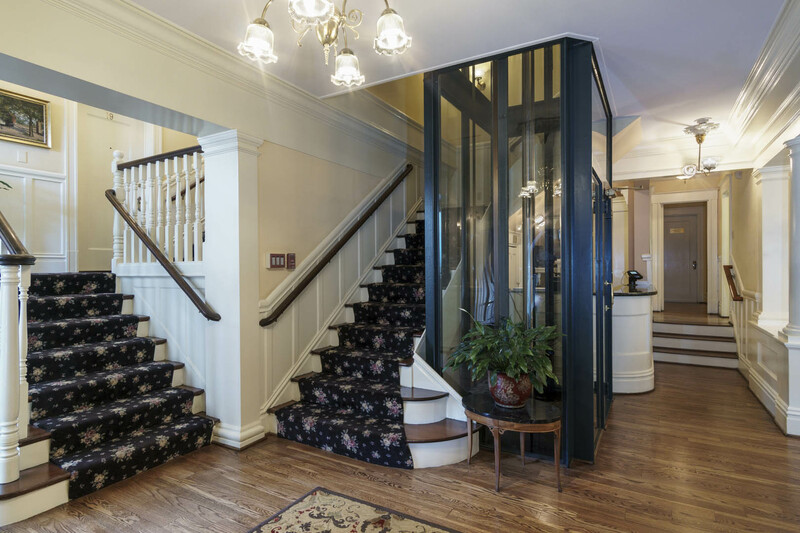 Built in 1907 as a private home, the Inn has been lovingly restored to maintain the ambiance of a turn-of-the-century townhouse. 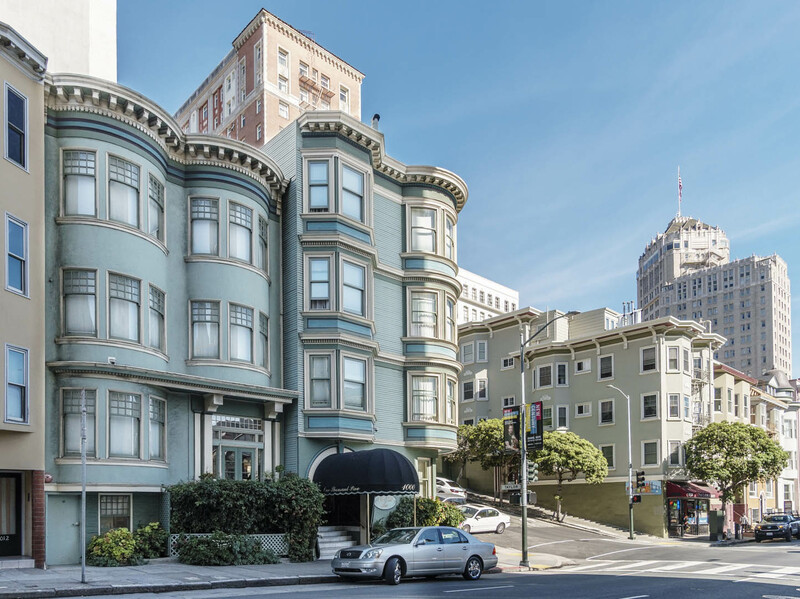 Situated in the upscale Nob Hill district, Nob Hill Inn is convenient to all of San Francisco's famous attractions. 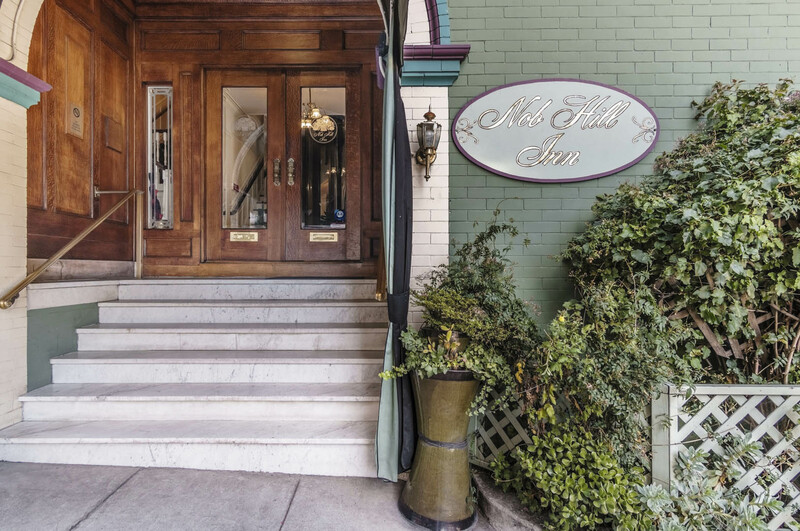 Nob Hill Inn does not provide onsite parking. Depending on the garage, parking can be $30 to $50 per day. Vehicles parked on the street will be ticketed or towed at the owner’s expense. Unit maximum occupancy is enforced 24 hours a day. 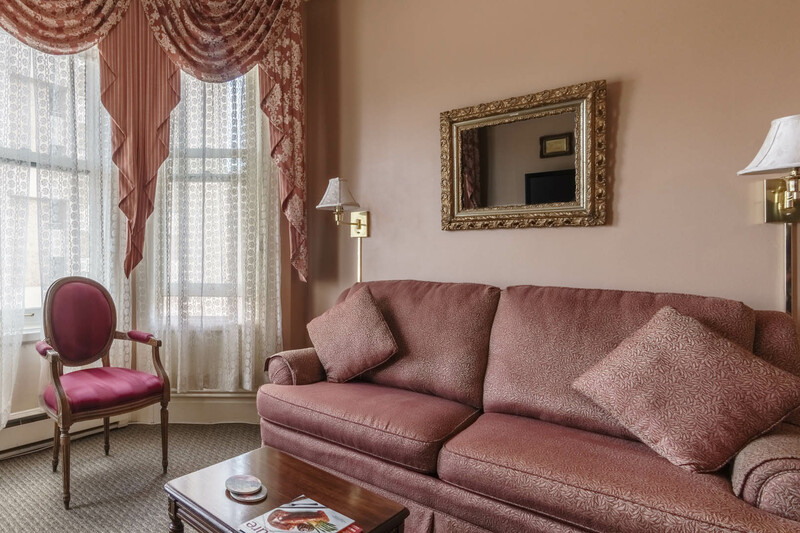 This cozy 8' x 14' hotel room is in the interior of the building with limited natural light, and is therefore, one of the quietest units at the Nob Hill Inn. 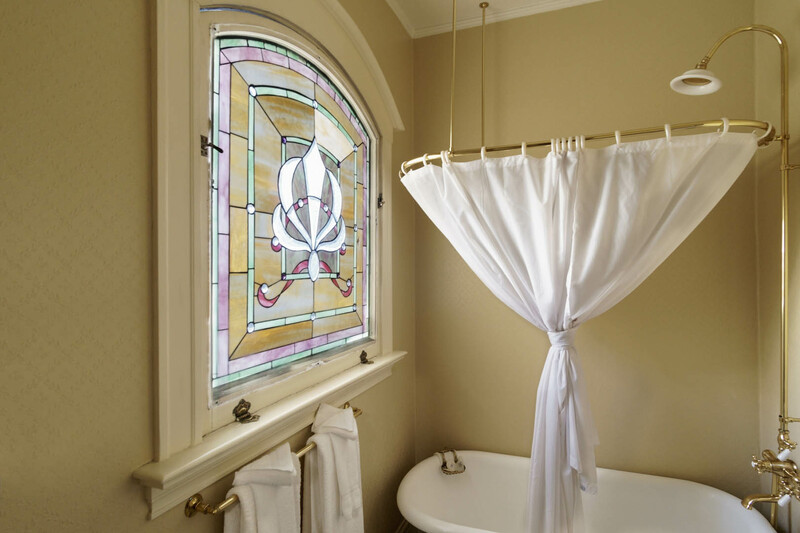 It has an alcove queen bed and private bath with claw-foot tub and shower. 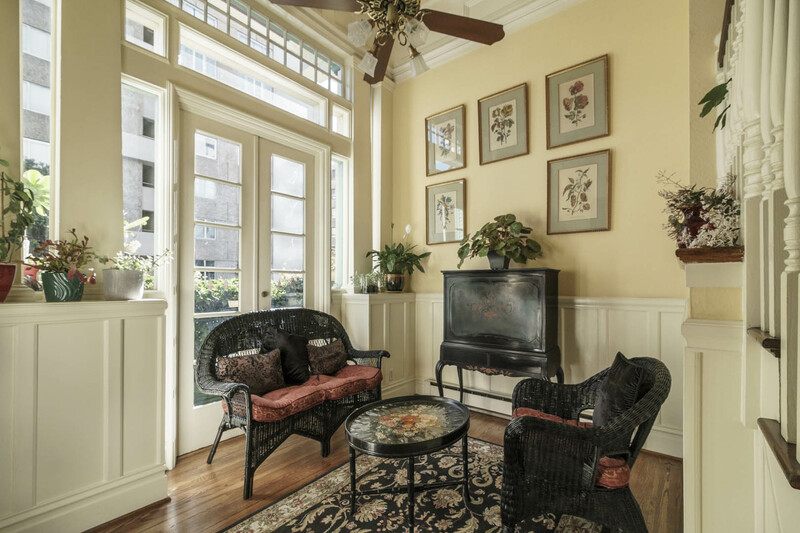 This is an exceptionally small unit, 184 sq ft., with limited wardrobe space and no kitchen facilities. This room has a maximum occupancy of 2 guests. 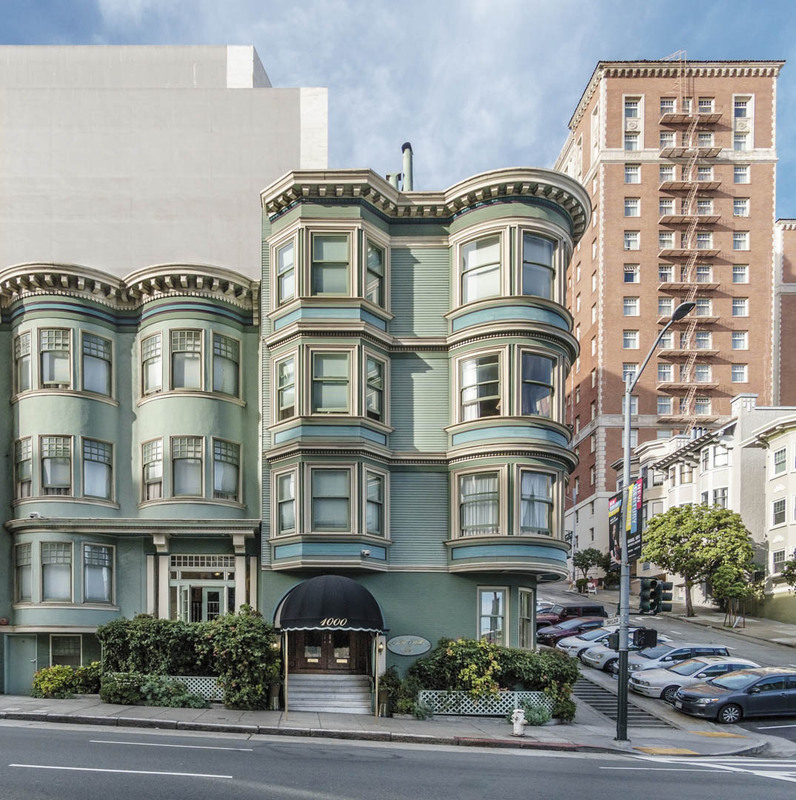 Elegant antiques and claw-foot bathtubs recreate the ambiance of Old San Francisco in these graciously appointed guest rooms that face busy Taylor Street. 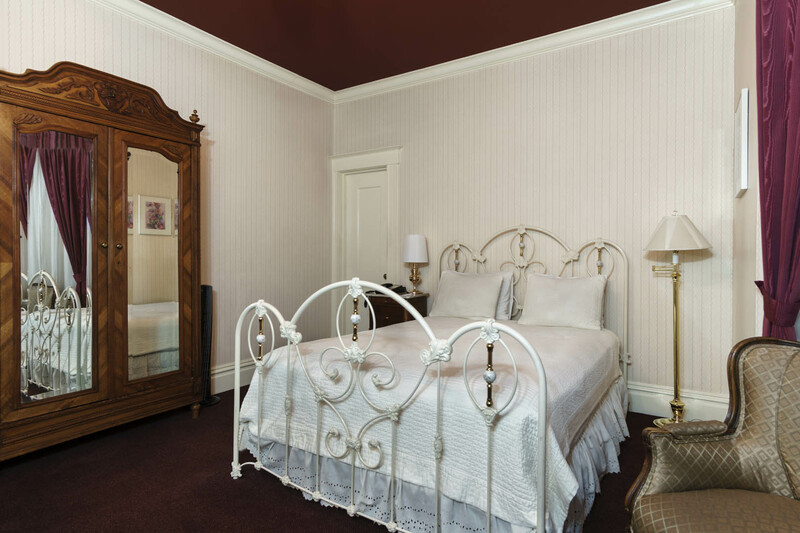 These 322 square foot hotel-sized units include queen beds, private baths, and no kitchen facilities. This room has a maximum occupancy of 2 guests. 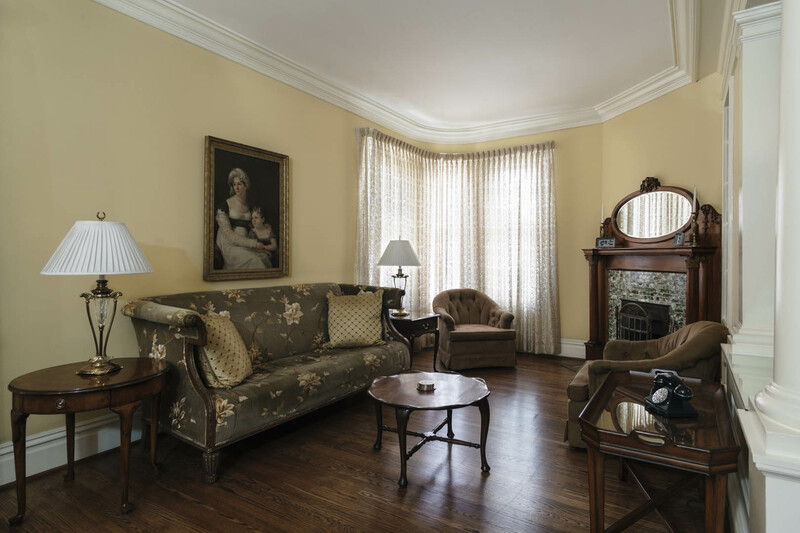 These luxurious one-bedroom apartment-style suites provide all the comforts of home, including a kitchenette stocked with dishes and housewares, mini refrigerator, microwave, stovetop, coffee maker and dishwasher. 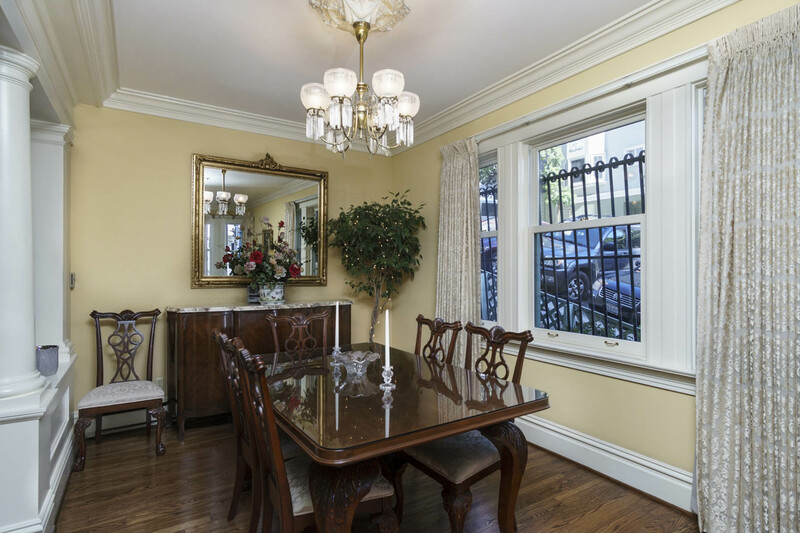 With a queen-bedded master bedroom, sofa sleeper in the parlor, and private bath featuring a large, glass-enclosed mini-tub / shower. 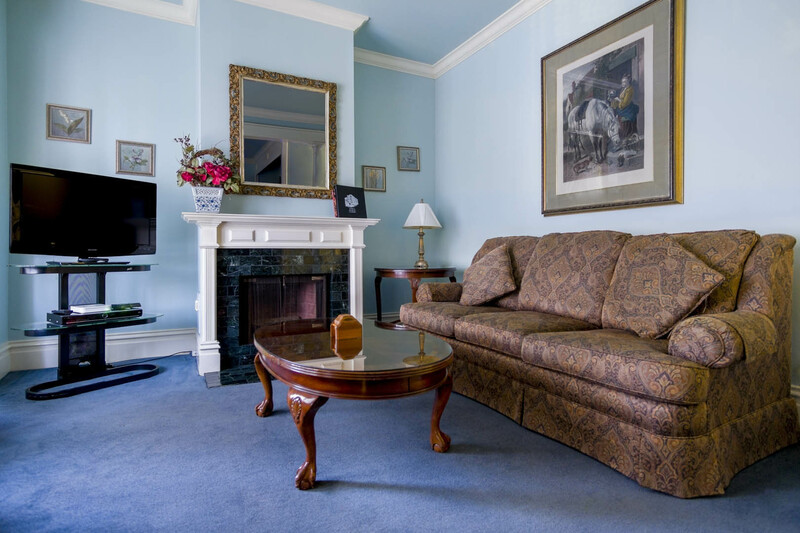 This is the perfect suite for a traveling family of four. This room has a maximum occupancy of 4 and sleeps 2 privately. 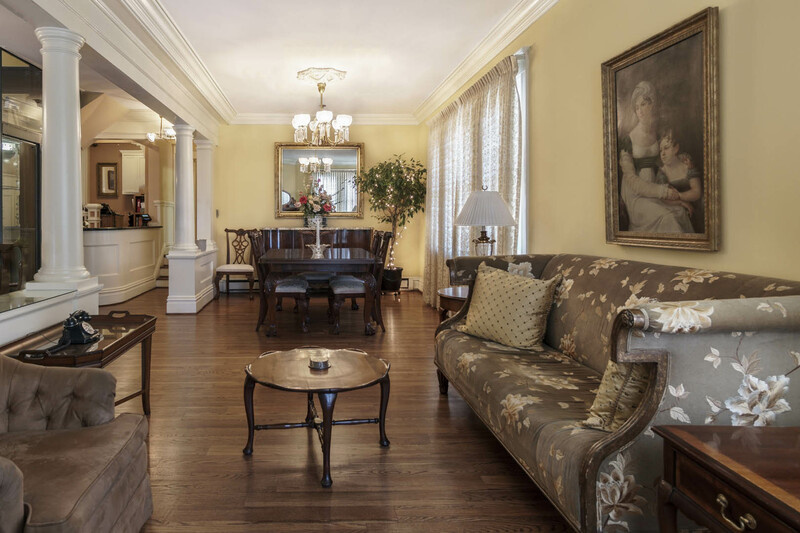 The ultimate in luxury, this two-bedroom, two-bath suite is spacious and elegant. 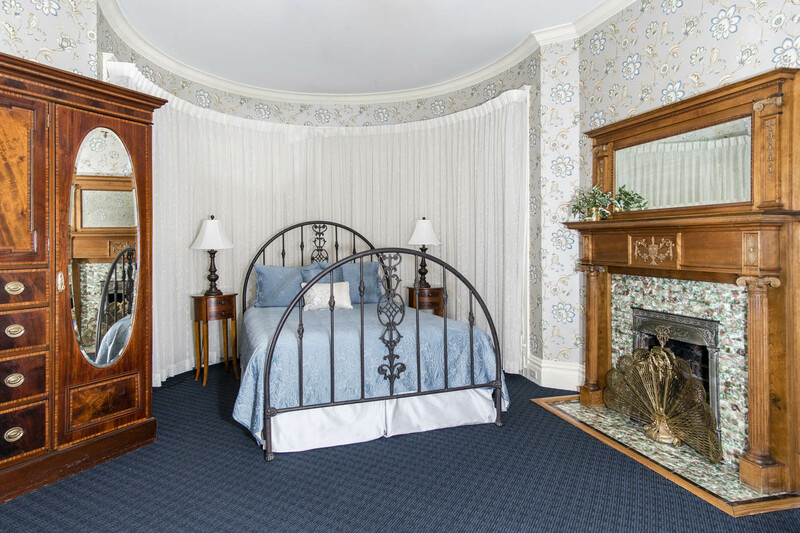 It includes a kitchenette and dining room and queen-bedded master bedroom with private bathroom featuring a glass-enclosed mini-tub / shower, a sofa bed in the sitting room, and a trundle bed (which turns into two twin beds) in the second bedroom. 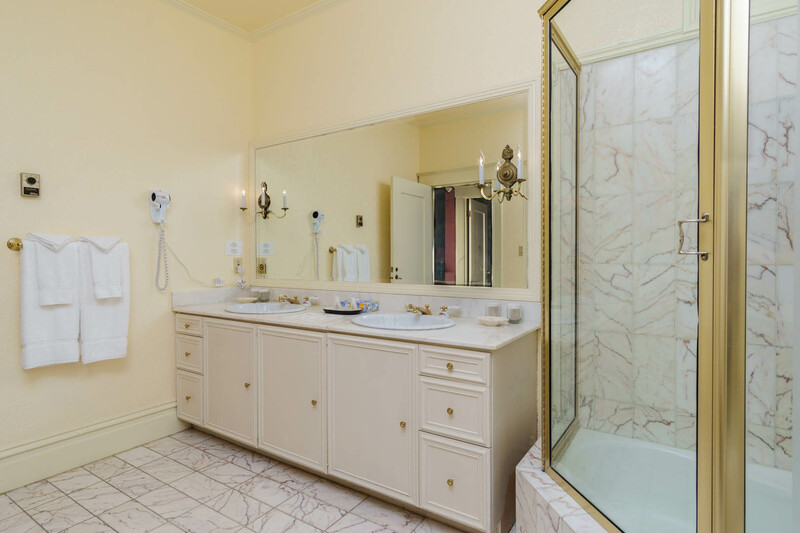 The second bathroom features a full-size tub/shower combination. Great for families or two couples traveling together. This room has a maximum occupancy of 6 and sleeps 4 privately.